The Summer At Stillpoint 2017 season, which ended last week, has been a bit of a momentous one. When I began SYL back in 2009 with Ozge Karabiyik never did I think we would have a summer like this one. 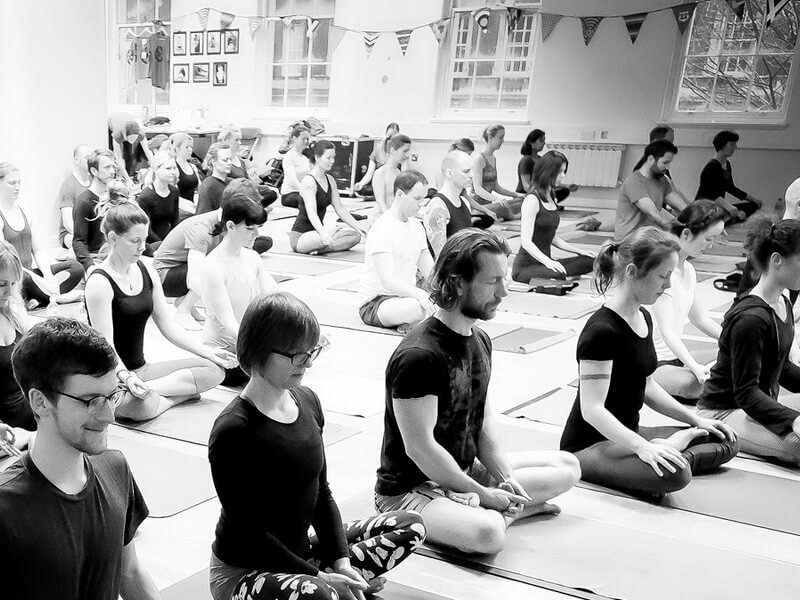 We have played host to, connected with and talked to the largest number of highly experienced Ashtanga yoga teachers we’ve ever had here at SYL, with practitioners coming from all over the world. In May, Kia Naddermier and Greg Nardi came and taught with me for our annual Spring Gathering. In June, Anthony ‘Prem’ Carlisi taught his first UK workshop with us in 8 years, then surprised students when he dropped in to help me for our regular morning Mysore class. David Keil came and taught his annual SYL 7 day Mysore and workshop marathon. Then in August we teamed Manju Jois and John Scott for a stellar 5 day immersion into the teachings of K Pattabhi Jois. Danny Paradise popped in to say hi too. Manju also stayed to teach an intermediate series teaching intensive. 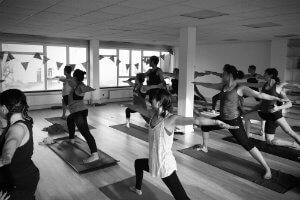 We finally finished last week with Philippa Asher teaching a 2 week Mysore intensive. During this time I tried my best to uphold the real work SYL does: meeting the daily regular students who are the bedrock of SYL and make it what it is. Never did I think we could hold such a strong line- up, based on the foundations of our work as a morning Mysore shala. Yet here we are… because I am fascinated and passionate about every aspect of the Ashtanga yoga practice. There is nothing more enjoyable than connecting with teachers and people who inspire me, and then connecting those people with others. The SYL daily Mysore practice evolved from Ozge Karabiyik and myself being deeply moved by our work with John Scott and Lucy Crawford. The SYL Summer At Stillpoint workshop season grew from my inviting teachers I felt could add value to our community. So this summer, with so many highly experienced teachers coming, there were lots of conversations over coffee and food, looking at how we as a wider Ashtanga yoga community are sharing this practice today. All the teachers who passed through our doors this summer show humble allegiance to the method of Ashtanga yoga that Sri K Pattabhi Jois developed with his teacher Krishnamacharya. They share it through the filter of their own time spent with Jois. Of course, there are discrepancies between a lot of these teachers. These are based on their own personal filter of how they experienced the practice and learned from Guruji, taking into consideration the timeframe they were there. One worked with Jois as a father/son family relationship before westerners had even stepped foot in Guruji’s home in Gokulam (Manju | 1960s/1970s). Some had been in Mysore with maximum 8 people in Jois’ room (Prem, John Scott |1970s/80s/90s) and some had been in the bigger shala as it moved to Lakshmipuram from Gokulam in 2002 (Greg Nardi, David Keil, Philippa Asher, Kia Naddermier | 1990s/2000 onwards). We at Stillpoint have our lineage connected back to Guruji through our teacher John Scott. Even though I met Jois only a handful of times, I hold his teachings and lineage, and the ongoing teachings of Sharath Rangaswamy, with such love and admiration as through the years we have seen how our work at SYL has affected the students who come through our doors. Yet I teach through my teacher’s filter, sharing the practice I discovered through John Scott’s study with Jois. 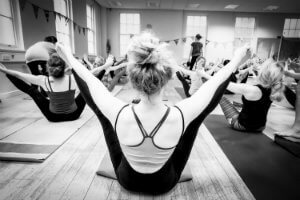 But we also connect with many, many people who have been affected by different aspects of many different Ashtanga yoga teachers. We can only teach from our continued learning and research from the people who come and teach with us and, more importantly, those who practise with us. It is good to remember that every one of the students who comes and places a mat in our space is teaching us how to teach, to begin again in sharing this method anew. Ashtanga yoga has such a rich tradition and history. It is one of the pre-eminent yoga practices that defines yoga culture, a base to much of the vinyasa yoga that is practised today. Sri K Pattabhi Jois lit the touchpaper from his little shala in Gokulam, Mysore that has ignited innumerable people worldwide. As more people are practising Ashtanga yoga now than ever, how do we keep this practice true? Do we adhere to the call of Mysore? Or do we look toward the many different blends that came from those who worked with Jois? I think it’s both. Ashtanga yoga has such a rich tradition and history. Would you like to taste Ashtanga yoga with us? We offer Ashtanga yoga assisted Mysore self-practice classes every Monday to Friday 6:30-10:00am. We invite all practitioners to come join us on the mat, protect your breath and start cultivating kindness in your practice.